Eccles Executive Education is recognized by SHRM to offer SHRM-CP and SHRM-SCP professional development credits (PDCs). This class is valid for 13 PDCs. For more information, please visit shrmcertification.org. Executive Education Certificates Certificates are a great way to build the skills you need to advance your career while tracking your professional achievement. This class counts towards an Executive Leadership Certificate. Presenting Faculty | JB Henriksen, CPA, MBA JB Henriksen is a principal in the firm Advanced CFO Solutions. He currently serves as the Acting CFO for several high growth companies in the software, wholesale, and medical space. JB is an active member of the Salt Lake City Angels and is active in the Utah entrepreneurial community mentoring many growing businesses. 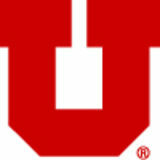 JB earned a BS in Accounting and an MBA from the University of Utah’s David Eccles School of Business. 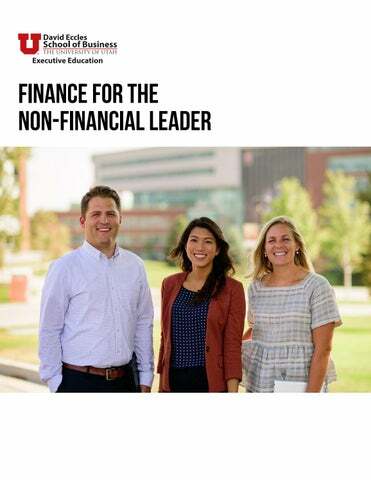 THE ECCLES DIFFERENCE The David Eccles School of Business enrolls about 6,000 students in its eight undergraduate majors, four MBAs, six other specialized graduate programs, one Ph.D. program, and executive education curricula. It is also home to seven institutes and centers that support an ecosystem of entrepreneurship, technology, and innovation, including the Lassonde Entrepreneur Institute, Ken C. Gardner Policy Institute, Sorenson Impact Center, and more. Our faculty members boast impressive professional and educational backgrounds and hold Ph.D.s from esteemed universities including the University of Pennsylvania’s Wharton School, Northwestern University’s Kellogg School, Harvard Business School, Stanford Graduate School of Business, and University of California at Berkeley’s Haas School.